4.30 is the average user rating. Hutto caught the attention of Insane Clown Posse while selling his cassettes at one of their concerts. Following several phone calls with group member Joseph Bruce, Hutto was signed to Psychopathic Records, making him the first Southern hip hop performer on the label. Bruce and Joseph Utsler helped Hutto create the character Boondox, which took six months to fully develop. Hutto released his first album under the Boondox name, The Harvest, on July 11, 2006. In 2007, Hutto released the extended play PunkinHed. It peaked at No. 10 on the Billboard Top Heatseekers chart and No. 27 on the Top Independent Albums chart. During the same year, he joined Psychopathic Rydas, performing under the name “Yung Dirt”. On May 13, 2008, Hutto released his second studio album, Krimson Creek, a more personal work drawing from his past. It peaked No. 1 on the Billboard Top Heatseekers chart, No. 13 on the Top Independent Albums chart, and No. 113 on the Billboard 200. Hutto released his third studio album, South of Hell, on May 11, 2010. The album also features a documentary directed by Paul Andreson about Hutto’s life and the making of the album titled Southern Bled. In 2012, Hutto’s Twitter account was hacked, leading Hutto to release a video via hype man Cousin Cleetus’ YouTube account. Hutto later stated, in an interview with the fan site Faygoluvers, that he would be leaving Psychopathic because of personal issues, but is still on good terms with the label. He also plans to release a gangsta rap album independently under the alias Turncoat Dirty. 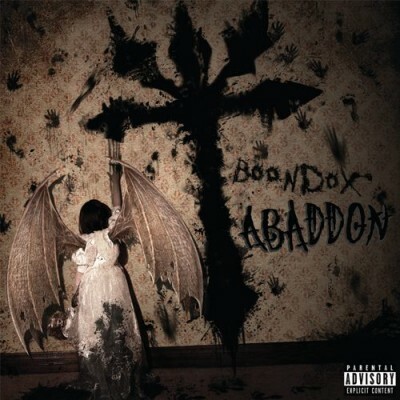 It was announced on October 3, 2012 on Boondox’s official Twitter page that he will continue rapping as Turncoat Dirty, but will be temporarily finished with the Boondox character at the end of 2012. It was announced at the Gathering of the Juggalos in 2013 that Boondox is back on the label. In February 2014, during an interview, Boondox, alongside the other 2 members of The Underground Avengers (Bukshot & ClaAs), was asked about his new album on Psychopathic. He said that it was finished and should be out hopefully around April or May 2014. Another question was asked about a new Avengers album and tour, and all seemed uncertain due to all three of them being busy with their own stuff right now, but it was said that if they do, it would be out in the summer of 2014. Conclusion: After four years the Juggalos finally get to hear what Boondox has been hiding. To say he stepped up his game would be an understatement. This album is hands down his best work to date. It would not be a stretch to say this album might even attract fans that did not previously enjoy his work. Any Juggalo or fan of Underground Horrorcore should pick this album up. With this and the new Axe Murder Boys album Psychopathic Records is showing they are not down for the count. Well written review..although I don’t feel like we needed an entire Boondox bio to be included..just my thoughts I’m only about 4 tracks in at the moment.. I agree the bio was a little long. I try to cut them down as much as I can but this one got away from me! MMFWFL thanks for checking out the review. When you get through the album let me know what you thought. What happened when he was hacked.